The environmental impact of meat production varies because of the wide variety of agricultural practices employed around the world. All agricultural practices have been found to have a variety of effects on the environment. Some of the environmental effects that have been associated with meat production are pollution through fossil fuel usage, animal methane, effluent waste, and water and land consumption. Meat is obtained through a variety of methods, including organic farming, free range farming, intensive livestock production, subsistence agriculture, hunting, and fishing. The 2006 report Livestock's Long Shadow, released by the Food and Agriculture Organization (FAO) of the United Nations, states that "the livestock sector is a major stressor on many ecosystems and on the planet as a whole. Globally it is one of the largest sources of greenhouse gases and one of the leading causal factors in the loss of biodiversity, while in developed and emerging countries it is perhaps the leading source of water pollution." (In this and much other FAO usage, but not always elsewhere, poultry are included as "livestock".) Some fraction of these effects is assignable to non-meat components of the livestock sector such as the wool, egg and dairy industries, and to the livestock used for tillage. 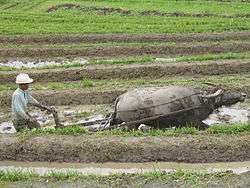 Livestock have been estimated to provide power for tillage of as much as half of the world's cropland. According to production data compiled by the FAO, 74 percent of global livestock product tonnage in 2011 was accounted for by non-meat products such as wool, eggs and milk. Changes in demand for meat may change the environmental impact of meat production by influencing how much meat is produced. It has been estimated that global meat consumption may double from 2000 to 2050, mostly as a consequence of increasing world population, but also partly because of increased per capita meat consumption (with much of the per capita consumption increase occurring in the developing world). Global production and consumption of poultry meat have recently been growing at more than 5 percent annually. Trends vary among livestock sectors. For example, global per capita consumption of pork has increased recently (almost entirely due to changes in consumption within China), while global per capita consumption of ruminant meats has been declining. In comparison with grazing, intensive livestock production requires large quantities of harvested feed. The growing of cereals for feed in turn requires substantial areas of land. However, where grain is fed, less feed is required for meat production. This is due not only to the higher concentration of metabolizable energy in grain than in roughages, but also to the higher ratio of net energy of gain to net energy of maintenance where metabolizable energy intake is higher. It takes seven pounds of feed to produce a pound of beef (live weight), compared to more than three pounds for a pound of pork and less than two pounds for a pound of chicken. However, assumptions about feed quality are implicit in such generalizations. For example, production of a pound of beef cattle live weight may require between 4 and 5 pounds of feed high in protein and metabolizable energy content, or more than 20 pounds of feed of much lower quality. Free-range animal production requires land for grazing, which in some places has led to land use change. According to FAO, "Ranching-induced deforestation is one of the main causes of loss of some unique plant and animal species in the tropical rainforests of Central and South America as well as carbon release in the atmosphere." This has implications for—among other things—meat consumption in Europe, which imports significant amounts of feed from Brazil. Raising animals for human consumption accounts for approximately 40% of the total amount of agricultural output in industrialized countries. Grazing occupies 26% of the earth's ice-free terrestrial surface, and feed crop production uses about one third of all arable land. Land quality decline is sometimes associated with overgrazing. Rangeland health classification reflects soil and site stability, hydrologic function, and biotic integrity. By the end of 2002, the US Bureau of Land Management (BLM) had evaluated rangeland health on 7,437 grazing allotments (i.e., 35 percent of its grazing allotments or 36 percent of the land area contained in its grazing allotments) and found that 16 percent of these failed to meet rangeland health standards due to existing grazing practices or levels of grazing use. This led the BLM to infer that a similar percentage would be obtained when such evaluations were completed. Soil erosion associated with overgrazing is an important issue in many dry regions of the world. However, on US farmland, much less soil erosion is associated with pastureland used for livestock grazing than with land used for production of crops. Sheet and rill erosion is within estimated soil loss tolerance on 95.1 percent, and wind erosion is within estimated soil loss tolerance on 99.4 percent of US pastureland inventoried by the US Natural Resources Conservation Service. Environmental effects of grazing can be positive or negative, depending on the quality of management, and grazing can have different effects on different soils and different plant communities. Grazing can sometimes reduce, and other times increase, biodiversity of grassland ecosystems. A study comparing virgin grasslands under some grazed and nongrazed management systems in the US indicated somewhat lower soil organic carbon but higher soil nitrogen content with grazing. In contrast, at the High Plains Grasslands Research Station in Wyoming, the top 30 cm of soil contained more organic carbon as well as more nitrogen on grazed pastures than on grasslands where livestock were excluded. Similarly, on previously eroded soil in the Piedmont region of the US, pasture establishment with well-managed grazing of livestock resulted in high rates of both carbon and nitrogen sequestration relative to results obtained where grass was grown without grazing. Such increases in carbon and nitrogen sequestration can help mitigate greenhouse gas emission effects. In some cases, ecosystem productivity may be increased due to grazing effects on nutrient cycling. Virtual water use for livestock production includes water used in producing feed. However, virtual water use data, such as those shown in the table, are often unrelated to environmental impacts of water use. For example, in a high-rainfall area, if similar soil infiltration capacity is maintained across different land uses, mm of groundwater recharge and hence sustainability of water use tends to be about the same for food crop production, meat-yielding livestock production, and saddle horse production, although virtual water use per kg of food produced may be several hundred L, several thousand L, and an infinite number of L, respectively. In contrast, in some low-rainfall areas, some livestock production is more sustainable than food crop production, from a water use standpoint, despite higher virtual water use per kg of food produced. This is because unirrigated land in many water-short areas may support grassland ecosystems in perpetuity, and thus may be able to support well-managed, extensive production of grazing cattle or sheep with a sustainable level of water use, even where large-scale production of more water-demanding food crops would be unsustainable in the long run due to inadequate surface water supplies and inadequate groundwater recharge to sustain a high level of withdrawn water use for irrigation. Such considerations are important on much rangeland in western North America and elsewhere that can support cow-calf operations, backgrounding of stocker cattle, and sheep flocks. In the US, withdrawn surface water and groundwater use for crop irrigation exceeds that for livestock by about a ratio of 60:1. Irrigation accounts for about 37 percent of US withdrawn freshwater use, and groundwater provides about 42 percent of US irrigation water. Irrigation water applied in production of livestock feed and forage has been estimated to account for about 9 percent of withdrawn freshwater use in the United States. Groundwater depletion is a concern in some areas because of sustainability issues (and in some cases, land subsidence and/or saltwater intrusion). A particularly important North American example where depletion is occurring involves the High Plains (Ogallala) Aquifer, which underlies about 174,000 square miles in parts of eight states, and supplies 30 percent of the groundwater withdrawn for irrigation in the US. Some irrigated livestock feed production is not hydrologically sustainable in the long run because of aquifer depletion. However, rainfed agriculture, which cannot deplete its water source, produces much of the livestock feed in North America. Corn (maize) is of particular interest, accounting for about 91.8 percent of the grain fed to US livestock and poultry in 2010.:table 1–75 About 14 percent of US corn-for grain land is irrigated, accounting for about 17 percent of US corn-for-grain production, and about 13 percent of US irrigation water use, but only about 40 percent of US corn grain is fed to US livestock and poultry. :table 1–38 Together, these figures indicate that most production of grain used for US livestock and poultry feed does not deplete water resources and that irrigated production of grain for livestock feed accounts for a small fraction of US irrigation water use. However, where production relies on irrigation from groundwater reserves, water table monitoring is appropriate to provide timely warning if groundwater depletion occurs. At a global scale, the FAO has recently estimated that livestock (including poultry) accounts for about 14.5 percent of anthropogenic greenhouse gas emissions estimated as 100-year CO2 equivalents. A previous, widely cited FAO report using somewhat more comprehensive analysis had estimated 18 percent. Because this emission percentage includes contributions associated with livestock used for production of draft power, eggs, wool and dairy products, the percentage attributable to meat production alone is significantly lower, as indicated by the report's data. The indirect effects contributing to the percentage include emissions associated with production of feed consumed by livestock and carbon dioxide emission from deforestation in Central and South America, attributed to livestock production. Using a different sectoral assignment of emissions, the IPCC (Intergovernmental Panel on Climate Change) has estimated that agriculture (including not only livestock, but also food crop, biofuel and other production) accounted for about 10 to 12 percent of global anthropogenic greenhouse gas emissions (expressed as 100-year carbon dioxide equivalents) in 2005 and in 2010. In the US, methane emissions associated with ruminant livestock (6.4 Mt in 2013) are estimated to have declined by about 17 percent from 1980 through 2012. Globally, enteric fermentation (mostly in ruminant livestock) accounts for about 27 percent of anthropogenic methane emissions, and methane accounts for about 32 to 40 percent of agriculture’s greenhouse gas emissions (estimated as 100-year carbon dioxide equivalents) as tabulated by the IPCC. Methane has a global warming potential recently estimated as 35 times that of an equivalent mass of carbon dioxide. However, despite the magnitude of methane emissions (recently about 330 to 350 Tg per year from all anthropogenic sources), methane’s current effect on global warming is quite small. 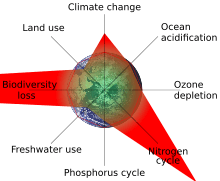 This is because degradation of methane nearly keeps pace with emissions, resulting in relatively little increase in atmospheric methane content (average of 6 Tg per year from 2000 through 2009), whereas atmospheric carbon dioxide content has been increasing greatly (average of nearly 15,000 Tg per year from 2000 through 2009). Mitigation options for reducing methane emission from ruminant enteric fermentation include genetic selection, immunization, rumen defaunation, diet modification and grazing management, among others. The principal mitigation strategies identified for reduction of agricultural nitrous oxide emission are avoiding over-application of nitrogen fertilizers and adopting suitable manure management practices. Mitigation strategies for reducing carbon dioxide emissions in the livestock sector include adopting more efficient production practices to reduce agricultural pressure for deforestation (notably in Latin America), reducing fossil fuel consumption, and increasing carbon sequestration in soils. In New Zealand, nearly half of [anthropogenic] greenhouse gas emission is associated with agriculture, which plays a major role in the nation’s economy, and a large fraction of this is assignable to the livestock industry. Some fraction of this is assignable to meat production: FAO data indicate that meat accounted for about 7 percent of product tonnage from New Zealand's livestock (including poultry) in 2010. Livestock sources (including enteric fermentation and manure) account for about 3.1 percent of US anthropogenic greenhouse gas emissions expressed as carbon dioxide equivalents, according to US EPA figures compiled using UNFCCC methodologies. Not all forms of meat and animal–based foods affect the environment equally. One study estimates that red meats are 150% more greenhouse gas intensive than chicken or fish. According to another research group, the ranking of some food products in relation to greenhouse gas emissions is lamb (#1), beef (#2), cheese (#3), and pork (#4). However, such ranking may not be broadly representative. Among sheep production systems, for example, there are very large differences in both energy use and prolificacy; both factors strongly influence emissions per kg of lamb production. Data of a USDA study indicate that about 0.9 percent of energy use in the United States is accounted for by raising food-producing livestock and poultry. In this context, energy use includes energy from fossil, nuclear, hydroelectric, biomass, geothermal, technological solar, and wind sources. (It excludes solar energy captured by photosynthesis, used in hay drying, etc.) The estimated energy use in agricultural production includes embodied energy in purchased inputs. Intensification and other changes in the livestock industries influence energy use, emissions and other environmental effects of meat production. For example, in the US beef production system, practices prevailing in 2007 are estimated to have involved 8.6 percent less fossil fuel use, 16.3 percent less greenhouse gas emissions, 12.1 percent less water use and 33.0 percent less land use, per unit mass of beef produced, than in 1977. These figures are based on analysis taking into account feed production, feedlot practices, forage-based cow-calf operations, backgrounding before cattle enter a feedlot, and production of culled dairy cows. Unless well managed, manure and other substances from livestock operations may cause water contamination. Concerns about such problems are particularly acute in the case of CAFOs (concentrated animal feeding operations). In the US, a permit for a CAFO requires implementation of a plan for management of manure nutrients, contaminants, wastewater, etc., as applicable, to meet requirements under the Clean Water Act. There were about 19,000 CAFOs in the US as of 2008. In fiscal 2014, the EPA (Environmental Protection Agency) concluded 26 enforcement actions for various violations by CAFOs. Environmental performance of the US livestock industry can be compared with several other industries. The EPA has published 5-year and 1-year data for 32 industries on their ratios of enforcement orders to inspections, a measure of non-compliance with environmental regulations: principally, those under Clean Water Act and Clean Air Act. For the livestock industry, inspections focused primarily on CAFOs. Of the 31 other industries, 4 (including crop production) had a better 5-year environmental record than the livestock industry, 2 had a similar record, and 25 had a worse record in this respect. For the most recent year of the five-year compilation, livestock production and dry cleaning had the best environmental records of the 32 industries, each with an enforcement order/inspection ratio of 0.01. For crop production, the ratio was 0.02. Of the 32 industries, oil and gas extraction and the livestock industry had the lowest percentages of facilities with violations. With good management, manure has environmental benefits. Manure deposited on pastures by grazing animals themselves is applied efficiently for maintaining soil fertility. Animal manures are also commonly collected from barns and concentrated feeding areas for efficient re-use of many nutrients in crop production, sometimes after composting. For many areas with high livestock density, manure application substantially replaces application of synthetic fertilizers on surrounding cropland. Manure was spread as a fertilizer on about 15.8 million acres of US cropland in 2006. Manure is also spread on forage-producing land that is grazed, rather than cropped. Altogether, in 2007, manure was applied on about 22.1 million acres in the United States. Substitution of animal manure for synthetic fertilizer has important implications for energy use and greenhouse gas emissions, considering that between about 43 and 88 MJ (i.e. between about 10 and 21 Mcal) of fossil fuel energy are used per kg of N in production of synthetic nitrogenous fertilizers. Manure can also have environmental benefit as a renewable energy source, in digester systems yielding biogas for heating and/or electricity generation. Manure biogas operations can be found in Asia, Europe, North America, and elsewhere. The US EPA estimates that as of July 2010, 157 manure digester systems for biogas energy were in operation on commercial-scale US livestock facilities. System cost is substantial, relative to US energy values, which may be a deterrent to more widespread use, although additional factors, such as odor control and carbon credits, may improve benefit /cost ratios. Grazing (especially, overgrazing) may detrimentally affect certain wildlife species, e.g. by altering cover and food supplies. However, habitat modification by livestock grazing can also benefit some wildlife species. For example, in North America, various studies have found that grazing sometimes improves habitat for elk, blacktailed prairie dogs, sage grouse, mule deer, and numerous other species. A survey of refuge managers on 123 National Wildlife Refuges in the US tallied 86 species of wildlife considered positively affected and 82 considered negatively affected by refuge cattle grazing or haying. Such mixed effects suggest that wildlife diversity may be enhanced and maintained by grazing livestock in some places while excluding livestock in some places. The kind of grazing system employed (e.g. rest-rotation, deferred grazing, HILF grazing) is often important in achieving grazing benefits for particular wildlife species. Approximately 90% of the total use of antimicrobials in the United States was for non-therapeutic purposes in agricultural production. Livestock production has been associated with increased antibiotic resistance in bacteria, and has been associated with the emergence of microbes which are resistant to multiple antimicrobials (often referred to as superbugs). Among other environmental benefits of meat production is conversion of materials that might otherwise be wasted, to produce high-protein food. For example, Elferink et al. state that "Currently, 70 % of the feedstock used in the Dutch feed industry originates from the food processing industry." US examples of "waste" conversion with regard to grain include feeding livestock the distillers grains (with solubles) remaining from ethanol production. For the marketing year 2009/2010, dried distillers grains used as livestock feed (and residual) in the US was estimated at 25.5 million metric tons. Examples with regard to roughages include straw from barley and wheat crops (feedable especially to large-ruminant breeding stock when on maintenance diets), and corn stover. Also, small-ruminant flocks in North America (and elsewhere) are sometimes used on fields for removal of various crop residues inedible by humans, converting them to food. There are environmental benefits of meat-producing small ruminants for control of specific invasive or noxious weeds (such as spotted knapweed, tansy ragwort, leafy spurge, yellow starthistle, tall larkspur, etc.) on rangeland. Small ruminants are also useful for vegetation management in forest plantations, and for clearing brush on rights-of-way. These represent food-producing alternatives to herbicide use. 1 2 3 FAO. 2006. World agriculture: towards 2030/2050. Prospects for food, nutrition, agriculture and major commodity groups. Interim report. Global Perspectives Unit, United Nations Food and Agriculture Organization. 71 pp. 1 2 3 National Research Council. 2000. Nutrient Requirements of Beef Cattle. National Academy Press. ↑ Adler, Jerry; Lawler, Andrew (June 2012). "How the Chicken Conquered the World". Smithsonian. Retrieved April 19, 2015. ↑ "Cattle ranching is encroaching on forests in Latin America". Fao.org. 2005-06-08. Retrieved 2015-03-30. ↑ "Reducing Your Footprint - 2011 Meat Eaters Guide | Meat Eater's Guide to Climate Change + Health | Environmental Working Group". Ewg.org. Retrieved 2015-03-30. ↑ NRCS. 2009. Summary report 2007 national resources inventory. USDA Natural Resources Conservation Service. 123 pp. ↑ Bilotta, G. S.; Brazier, R. E.; Haygarth, P. M. (2007). "The impacts of grazing animals on the quality of soils, vegetation and surface waters in intensively managed grasslands". Adv. Agron. 94: 237–280. doi:10.1016/s0065-2113(06)94006-1. ↑ Greenwood, K. L.; McKenzie, B. M. (2001). "Grazing effects on soil physical properties and the consequences for pastures: a review". Austral. J. Exp. Agr. 41: 1231–1250. ↑ Milchunas, D. G.; Lauenroth, W. KI. (1993). "Quantitative effects of grazing on vegetation and soils over a global range of environments". Ecol. Monographs. 63: 327–366. doi:10.2307/2937150. ↑ Olff, H.; Ritchie, M. E. (1998). "Effects of herbivores on grassland plant diversity". Trends in Ecology and Evolution. 13: 261–265. doi:10.1016/s0169-5347(98)01364-0. ↑ Environment Canada. 2013. Amended recovery strategy for the Greater Sage-Grouse (Centrocercus urophasianus urophasianus) in Canada. Species at Risk Act, Recovery Strategy Series. 57 pp. ↑ Bauer, A., C. V. Cole and A. L. Black. 1987. Soil property comparisons in virgin grasslands between grazed and nongrazed management systems. Soil Sci. Soc. Am. J. 51: 176-182. ↑ Franzluebbers, A.J. ; Stuedemann, J. A. (2010). "Surface soil changes during twelve years of pasture management in the southern Piedmont USA". Soil Sci. Soc. Am. J. 74: 2131–2141. doi:10.2136/sssaj2010.0034. ↑ De Mazancourt, C.; Loreau, M.; Abbadie, L. (1998). "Grazing optimization and nutrient cycling: when do herbivores enhance plant production?". Ecology. 79: 2242–2252. doi:10.1890/0012-9658(1998)079[2242:goancw]2.0.co;2. ↑ "Virtual Water Trade" (PDF). Wasterfootprint.org. Retrieved 2015-03-30. 1 2 Kenny, J. F. et al. 2009. Estimated use of water in the United States in 2005. U.S. Geological Survey Circular 1344. 52 pp. ↑ Zering, K. D., T. J. Centner, D. Meyer, G. L. Newton, J. M. Sweeten and S. Woodruff. 2012. Water and land issues associated with animal agriculture: a U.S. perspective. CAST Issue Paper No. 50. Council for Agricultural Science and Technology, Ames, Iowa. 24 pp. ↑ Konikow, L. W. 2013. Groundwater depletion in the United States (1900-2008). United States Geological Survey. Scientific Investigations Report 2013-5079. 63 pp. 1 2 USDA. 2011. USDA Agricultural Statistics 2011. ↑ USDA 2010. 2007 Census of agriculture. AC07-SS-1. Farm and ranch irrigation survey (2008). Volume 3, Special Studies. Part 1. (Issued 2009, updated 2010.) 209 pp. + appendices. Tables 1 and 28. 1 2 USDA. 2009. 2007 Census of Agriculture. United States Summary and State Data. Vol. 1. Geographic Area Series. Part 51. AC-07-A-51. 639 pp. + appendices. Table 1. ↑ Belsky, A. J.; et al. (1999). "Survey of livestock influences on stream and riparian ecosystems in the western United States". J. Soil Water Cons. 54: 419–431. ↑ Agouridis, C. T.; et al. (2005). "Livestock grazing management impact on streamwater quality: a review". J. Am. Water Res. Assoc. 41: 591–606. doi:10.1111/j.1752-1688.2005.tb03757.x. ↑ "Pasture, Rangeland, and Grazing Operations - Best Management Practices | Agriculture | US EPA". Epa.gov. 2006-06-28. Retrieved 2015-03-30. ↑ "Livestock Distribution in Riparian Areas" (PDF). Agf.gov.bc.ca. Retrieved 2015-03-30. ↑ BLM. 2006. Grazing management processes and strategies for riparian-wetland areas. US Bureau of Land Management. TR-1737-20. 105 pp. ↑ Key,N. et al. 2011. Trends and developments in hog manure management, 1998-2009. USDA EIB-81. 33 pp. 1 2 Gerber, P. J., H. Steinfeld, B. Henderson, A. Mottet, C. Opio, J. Dijkman, A. Falcucci and G. Tempio. 2013. Tackling climate change through livestock - a global assessment of emissions and mitigation opportunities. Food and Agriculture Organization of the United Nations, Rome. 115 pp. 1 2 Intergovernmental Panel on Climate Change. 2014. Climate change 2014, Mitigation of climate change. Fifth Assessment Report. ↑ US Environmental Protection Agency. 2015. Inventory of U.S. greenhouse gas emissions and sinks, 1990-2013. EPA 430-R-15-004. 1 2 3 Intergovernmental Panel on Climate Change. 2013. Climate change 2013, The physical science basis. Fifth Assessment Report. ↑ Martin, C. et al. 2010. Methane mitigation in ruminants: from microbe to the farm scale. Animal 4 : pp 351-365. ↑ Eckard, R. J.; et al. (2010). "Options for the abatement of methane and nitrous oxide from ruminant production: A review". Livestock Science. 130: 47–56. doi:10.1016/j.livsci.2010.02.010. ↑ Dalal, R.C. ; et al. (2003). "Nitrous oxide emission from Australian agricultural lands and mitigation options: a review". Australian Journal of Soil Research. 41 (2): 165–195. doi:10.1071/sr02064. ↑ US EPA. 2009. Inventory of U.S. greenhouse gas emissions and sinks: 1990-2007. United States Environmental Protection Agency. 410 pp. ↑ Weber, C. L.; Matthews, H. S. (2008). "Food-miles and the relative climate impacts of food choices in the United States". Environ Sci Technol. 42 (10): 3508–3513. doi:10.1021/es702969f. ↑ "The Impacts - 2011 Meat Eater's Guide to Climate Change + Health". Environmental Working Group. 2011. Archived from the original on 2012-03-26. ↑ USDA. 2010. Agricultural Statistics 2010, Table 7-43. ↑ Canning, P., A. Charles, S. Huang, K. R. Polenske, and A Waters. 2010. Energy use in the U.S. food system. USDA Economic Research Service, ERR-94. 33 pp. ↑ Capper, J. L. 2011. The environmental impact of beef production in the United States: 1977 compared with 2007. J. Anim. Sci. 89: 4249–4261. ↑ McDonald, J. M. et al. 2009. Manure use for fertilizer and for energy. Report to Congress. USDA, AP-037. 53pp. ↑ "Biogas China". I-sis.org.uk. Retrieved 2015-03-30. ↑ "U.S. Anaerobic Digester" (PDF). Agf.gov.bc.ca. Retrieved 2015-03-30. ↑ NRCS. 2007. An analysis of energy production costs from anaerobic digestion systems on U.S. livestock production facilities. US Natural Resources Conservation Service. Tech. Note 1. 33 pp. ↑ Anderson, E. W.; Scherzinger, R. J. (1975). "Improving quality of winter forage for elk by cattle grazing". J. Range Mgt. 25: 120–125. ↑ Knowles, C. J. (1986). "Some relationships of black-tailed prairie dogs to livestock grazing". Great Basin Naturalist. 46: 198–203. ↑ Neel. L.A. 1980. Sage Grouse Response to Grazing Management in Nevada. M.Sc. Thesis. Univ. of Nevada, Reno. ↑ Jensen, C. H.; et al. (1972). "Guidelines for grazing sheep on rangelands used by big game in winter". J. Range Mgt. 25: 346–352. doi:10.2307/3896543. ↑ Smith, M. A.; et al. (1979). "Forage selection by mule deer on winter range grazed by sheep in spring". J. Range Mgt. 32: 40–45. doi:10.2307/3897382. ↑ Strassman, B. I. (1987). "Effects of cattle grazing and haying on wildlife conservation at National Wildlife Refuges in the United States". Environmental Mgt. 11: 35–44. doi:10.1007/bf01867177. ↑ "Hogging It! : Estimates of Antimicrobial Abuse in Livestock". Union of Concerned Scientists. 2001. ↑ Mathew, A. G.; Cissell, R.; Liamthong, S. (2007). "Antibiotic resistance in bacteria associated with food animals: a United States perspective of livestock production.". Foodborne Pathog Dis. 4 (2): 115–133. PMID 17600481. ↑ "Apocalypse Pig: The Last Antibiotic Begins to Fail". 21 November 2015. ↑ Elferink, E. V.; et al. (2008). "Feeding livestock food residue and the consequences for the environmental impact of meat". J. Cleaner Prod. 16: 1227–1233. doi:10.1016/j.jclepro.2007.06.008. ↑ Anderson, D. C. 1978. Use of cereal residues in beef cattle production systems. J. Anim. Sci. 46: 849–861. ↑ Males, J. R. 1987. Optimizing the utilization of cereal crop residues for beef cattle. J. Anim. Sci. 65: 1124-1130. ↑ Ward, J. K. 1978. Utilization of corn and grain sorghum residues in beef cow forage systems. J. Anim. Sci. 46: 831-840. ↑ Klopfenstein, T. et al. 1987. Corn residues in beef production systems. J. Anim. Sci. 65: 1139–1148. McMichael AJ, Powles JW, Butler CD, Uauy R (Sep 12, 2007). "Food, livestock production, energy, climate change, and health" (PDF). Lancet. 370 (9594): 1253–63. doi:10.1016/S0140-6736(07)61256-2. PMID 17868818. Baroni L, Cenci L, Tettamanti M, Berati M (Feb 2007). "Evaluating the environmental impact of various dietary patterns combined with different food production systems" (PDF). Eur J Clin Nutr. 61 (2): 279–86. doi:10.1038/sj.ejcn.1602522. PMID 17035955. Heitschmidt RK, Vermeire LT, Grings EE (2004). "Is rangeland agriculture sustainable?". Journal of Animal Science. 82 (E-Suppl): E138–146. PMID 15471792.